Maharishi Valmiki claims the distinction of being the author of the holy epic Ramayana. He is also believed to be the author of Yoga Vasistha, a text that elaborates on a range of philosophical issues. The Mahabharata remains a marvel in the literature of the world. Veda Vyasa was the sage who gave the world this Storehouse of realism, wisdom and compassion. And he was the guide to whom seven generations of the high and the humble looked up in hours of sorrow and darkness. Shri Narada Muni is a holy personage and celestial musician, always facilitating the good of the world; engaged in aiding the pious in times of challenge and in hastening the retribution of evil-doers. Traversing the three worlds, he spread the Path of Devotion to the Lord. Figuring in all major epics, he led many noble souls to salvation. Agasthya is one of the greates names in the Hindu Pantheon. He finds an important place among the Rishis, munis, and The Siddhars. He is also reputed to be the founder of the Tamil language which was taught to him by Murugan Himself. He drew up the first grammer rules for Tamil. Agastya is also believed to be one greatest Seven Sages or Saptarishis. Sukadeva Gosvami was the son of the sage Vyasa (credited as the author of the Vedas and Puranas) and the main narrator of the Bhagavata Purana. Most of the Bhagavata Purana consists of Shuka reciting the story to the dying king Parikshit. The Bhagavatam begins with Emperor Pariksit's sober inquiry to Sukadeva Gosvami: "You are the spiritual master of great saints and devotees. I am therefore begging you to show the way of perfection for all persons, and especially for one who is about to die. Please let me know what a man should hear, chant, remember and worship, and also what he should not do. Please explain all this to me." Bharadwaja rishi , a sage of the Vedic period - is renowed for his thirst for knowledge - a great seer who attained extraordinary scholarship and power of meditation. An enlightened man who used his might for punishing the wicked and protecting the poor and the weak. Bharadwaja rishi was the father of Dronacharya and the grandfather of Ashwatthama. He attained extraordinary scholarship and power of meditation. He was one of the Saptarshis (Seven Great Sages Rishi) in the present Manvantara; with others being Atri, Vashishtha, Vishvamitra, Gautama, Jamadagni, Kashyapa. Thirumoolar is one of the 18 Siddhars. His main work is Thirumandhiram, that describes various aspects, from Science, Medicine, Human aspects of Life, The Divine - especially Lord Shiva and many others. Vasishta was a great ascetic. 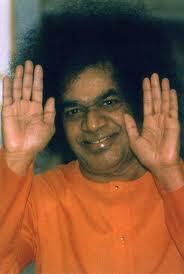 He was the preceptor of great men like Sri Rama and Harischandra. He had conquered anger and desire. He was a great saint who humbled insolent men. As a preceptor he imparted knowledge and became a guide to thousands of aspirants. Shri Brahmarshi Vishwamitra is considered to be one of the most revered rishis (sages) of the ancient India. As per the Puranas, there have been only 24 Rishis in India who have the Gayatri Mantra. It is believed that Sage Vishwamitra is the first saint of the 24 saints, and Sage Yajnavalkya the last. He also claims the distinction of being the author of the majority portion of the Mandala 3 of the Rig-Veda. It is believed that Maharishi Patanjali was the avatar of Adi Shesha - the Infinite Cosmic Serpent upon whom Lord Vishnu rests. He is considered to be the compiler of the Yoga Sutras, along with being the author of a commentary on Panini's Ashtadhyayi, known as Mahabhasya. 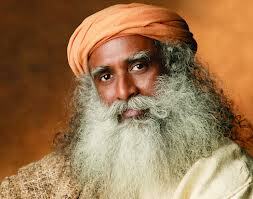 He is also supposed to be the writer of a work on the ancient Indian medicine system, Ayurveda. Babaji is the guru of Lahiri Mahasaya. His powerful, sublime influence wafts over an unknowing world without fanfare — secret and sacred, like the reclusive master himself. It is believed that Babaji is deathless. He is the only one of these four great masters who is still in his body. Although originally born centuries ago, he maintains a physical presence even today in a remote area of the high Himalayas near Badrinath. He has a small group of disciples who travel with him from peak to peak. 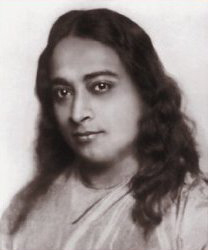 Yogananda called Babaji a “mahavatar” — a great incarnation of God. Although all self-realized masters are one with the Infinite, Babaji especially epitomizes the highest pinnacle of spiritual attainment. Shri Adi Sankaracharya (788-820) (meaning 'the first Shankara' in his lineage), reverentially called Bhagavatpada Acharya (the teacher at the feet of Lord) was the most famous Advaita philosopher, who had a profound influence on the growth of Hinduism through his non-dualistic philosophy. He advocated the greatness and importance of the important Hindu scriptures, the Vedas (most particularly on the Upanishads, also known as Vedanta), spoke to a spirituality founded on reason and without dogma or ritualism, and gave new life to Hinduism at a time when Buddhism and Jainism were gaining popularity. 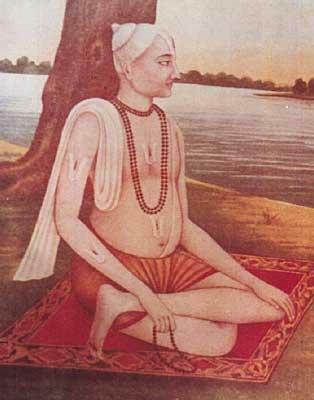 Goswami Tulsidas (1532 1623) was born to Hulsi and Atmaram Shukla Dube in Rajpur, Uttar Pradesh, India in 1532. He was a Sarayuparina Brahmin by birth and an incarnation of Sage Valmiki, the author of the Sanskrit Ramayana. It is said that Tulsidas did not cry at the time of his birth, and was born with all thirty-two teeth intact. In his childhood, he was known as Tulsiram or Ram Bola. Tulsidas wrote 12 books, the most famous being the Hindi Ramayan — “The Ramcharitmanasa” that is read and worshipped with great reverence in every Hindu home in Northern India. An inspiring book, it contains sweet couplets in beautiful rhyme in praise of Lord Rama. “Vinaya Patrika” is another important book written by Tulsidas. Shri Chaitanya Mahaprabhu appeared in the 15th century and inaugurated a powerful spiritual movement known as sankirtana [the congregational chanting of the holy name of Krishna] enabling the souls of even this corrupted age to attain the Absolute Truth. 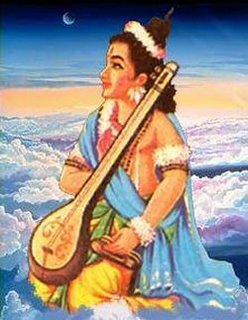 Among the Vaishnava community, Chaitanya was considered a direct incarnation of Lord Krishna. 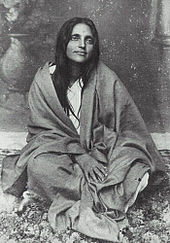 Anandamayi Ma (30 April 1896 - 27 August 1982) was one of the most influential spiritual luminaries of the Twentieth Century. Her devotees ranged from Prime Ministers and great Saints down to the simplest villagers, and people came from all over the world to simply see Her and sit in Her presence. Though virtually uneducated, She spoke with the authority of direct experience and captivated all with Her sweetness and power. To this day, Her presence and guidance is felt by those who turn to Her in prayer, and Her life is an inspiration to all who feel drawn to the spiritual Path. Shri Ramana Maharshi (1879 –1950) was probably the most famous Indian sage of the twentieth century. He was renowned for his saintly life, for the fullness of his self-realization, and for the feelings of deep peace that visitors experienced in his presence. So many people came to see him at the holy hill of Arunchala where he spent his adult life that an ashram had to be built around him. He answered questions for hours every day, but never considered himself to be anyone's guru. Swami Vivekananda (1863-1902) was the foremost disciple of Shri Ramakrishna Paramahansa and a world spokesperson for Vedanta. His lectures, writings, letters, and poems are published as The Complete Works of Swami Vivekananda. He felt it was best to teach universal principles rather than personalities, so we find little mention of Ramakrishna in the Complete Works. For the last 40 years of his life in Pondicherry Shri Aurobindo worked tirelessly for the realization of his vision of a divine life upon earth. He revealed his new message for humanity and its glorious future primarily through his writings which reflect unerringly his genius as a scholar, writer, poet, literary critic, philosopher, social thinker, revolutionary, patriot, visionary and yogi. Swami Sivananda Saraswati (Sep 8, 1887—Jul 14, 1963), was an Indian spiritual leader and a well known proponent of Yoga and Vedanta. He is one of the greatest Yoga masters of the 20th century, is the inspiration behind the Sivananda Yoga Vedanta Centers. The founder of Arya Samaj (the Society of Nobles), Swami Dayanand Saraswati was one of the greatest religious leaders ever born in India. 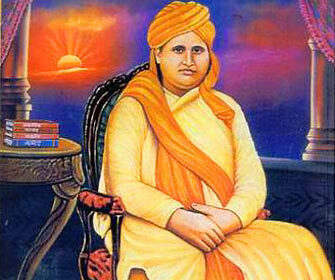 He was responsible, to some an extent, in bringing back the age-old teaching tradition of 'Gurukul'. He advocated for the equal right of women and condemned practices such as untouchability, animal sacrifice, idol worship, etc. His Divine Grace A. C. Bhaktivedanta Swami Prabhupada was born in 1896 in Calcutta, India. He first met his spiritual master, Srila Bhaktisiddhanta Sarasvati Gosvami, in Calcutta in 1922. Bhaktisiddhanta Sarasvati, a prominent devotional scholar and the founder of sixty-four branches of Gaudiya Mathas (Vedic institutes), liked this educated young man and convinced him to dedicate his life to teaching Vedic knowledge in the Western world. Shri Paramahansa Yogananda came to the West to bring the science of Kriya Yoga and a new interpretation of the great scriptures of East and West. However, his mission was not only for those disciples who were fortunate enough to be with him, but for the world, to uplift humanity as a whole. Shirdi Sai Baba (c 1838 - 1918) holds a unique place in the rich tradition of saints in India. Baba, an embodiment of self-realization and perfection, did not come solely to preach but to awaken mankind through his messages of love and righteousness. Maharishi Mahesh Yogi is the creator of Transcendental Meditation and founder of the Transcendental Meditation Movement. Maharishi was a disciple of Swami Brahmananda Saraswati, who Maharishi credits with inspiring his teachings. Maharishi's meditation techniques have been taught to millions of people around the world.ever. Sathya Sai Baba is a highly revered spiritual leader and world teacher, whose life and message are inspiring millions of people throughout the world to turn God-ward and to lead more purposeful and moral lives. His timeless and universal teachings, along with the manner in which he leads his own life, are attracting seekers of Truth from all the religions of the world. He offers solace and inspiration to all sincere seekers of truth. 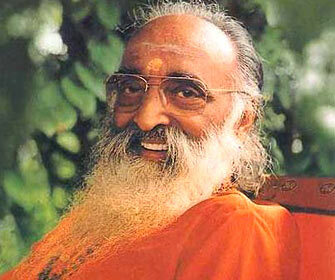 Chinmayananda Saraswati (8 May 1916 – 3 August 1993), known as Swami Chinmayananda and born Balakrishnan Menon is counted amongst the most notable spiritual leaders in India. He was considered as an authority on the ancient Indian scriptures, especially the sacred Bhagwad Gita and the Upanishads. He was the founder of the Chinmayananda Mission and also the author of more than 30 books, dedicated to the philosophical belief behind religion. 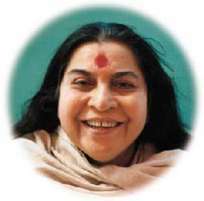 Shri Mataji Nirmala Devi was born to a Christian family on 21 March 1923. As a newborn also, Mataji emanated such beauty and radiance, that her parents named her Nirmala. Since her parents were both freedom fighters, she grew up in the ashram of Mahatma Gandhi. Her wisdom and understanding was so deep that at time, even Mahatma Gandhi consulted her on important matters. She also took part in the freedom struggle, playing the role of a youth leader. For over five decades Subramuniyaswami, affectionately known as Gurudeva, taught Hinduism to Hindus and seekers from all faiths. In the line of successorship, he was the 162nd Jagadacharya of the Nandinatha Sampradaya's Kailasa Parampara and Guru Mahasannidhanam of Kauai Aadheenam (also known as Kauai's Hindu Monastery), a 458-acre temple-monastery complex on Hawaii's Garden Island. Her Holiness Mata Amritananda Mayi's first name was Sudhamani. She was born in a fisherman's family in the tiny coastal village of Parayakadavu, near Vallikkavu, of Quilon (Kollam) district in Kerala on the 27th of September 1953. Even when she was a smalll child, she could be found in trance or meditation. Shri Paramahamsa Nithyananda, was born in South India and embarked upon his spiritual journey at a young age, enduring years of rigorous penance. Through intense meditation practices and in depth study of Yoga, Tantra, Vedanta, and Shaiva philosophies, He attained the ultimate state of consciousness, the State of Nithyananda (Eternal Bliss). Sadhguru Jaggi Vasudev is a yogi, mystic, and visionary humanitarian who works tirelessly towards the physical, mental, and spiritual wellbeing of all. Shri Shri Ravi Shankar (born : May 13, 1956) is an Indian spiritual master (Guru). 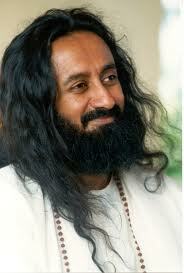 He is often referred to by the self-chosen double-honorific "Sri Sri". He is considered a spiritual leader by his disciples and is the founder of the international Art of Living Foundation that aims to globalise traditional Indian wisdom in ways that are compatible with modern life.